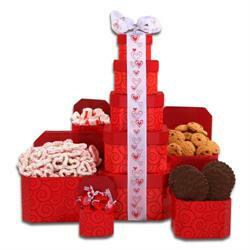 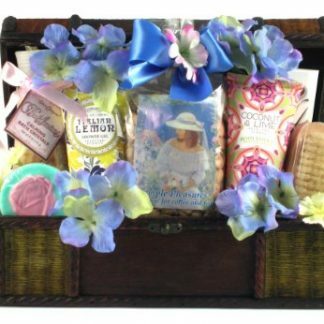 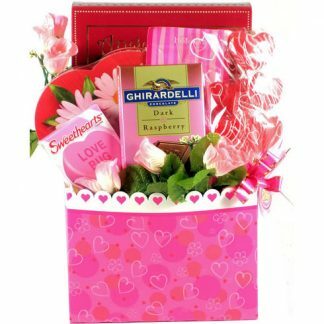 Show your romantic side with the Sweet Valentine Gift Basket. 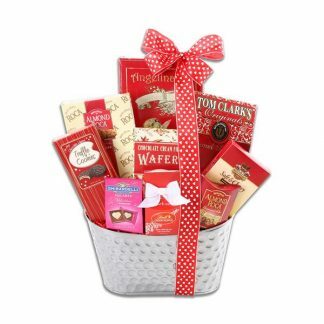 From decadent Lindt Chocolate Truffles to Ghirardelli Chocolates, everything you need for a romantic evening with that special someone is included in this beautiful basket. 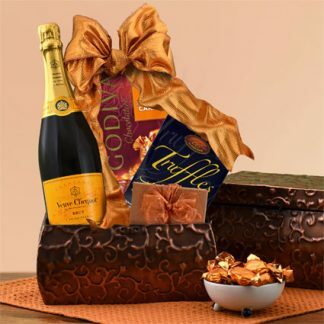 Impress her with your elegant taste! Our Sweet Valentine Gift Basket is beautifully displayed in an elegant silver tin featuring Angelina’s Cookies, Tom Clark’s Popcorn, Almond Roca Cookies, Truffle Cookies, Wafer Cookies, Brent & Sam’s Chocolate Chunk Cookies, Almond Roca Candy, Lindt Truffles, and Ghirardelli Valentine Milk Chocolate & White Chocolate Impressions Bag.